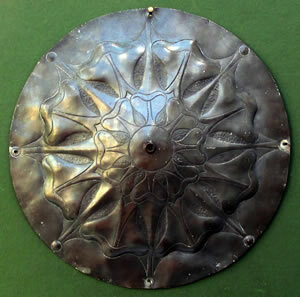 Guild Pink repousse tile. 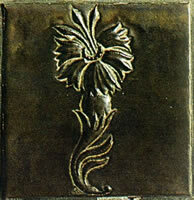 Magpie & Stump repousse detail. on the site of a 16th Century Inn named the Magpie & Stump, which had burnt down in 1886.
personal studio for his Guild & School of Handicraft. including The Art Journal and The Studio in 1895.
and innovative designs for electric lighting. Before the house was demolished in 1969, the Victoria & Albert Museum together with Ashbee family members saved many items, most of which are now in the collections at the V&A, with some of the leatherwork panels on display in Cheltenham Art Gallery & Museum. 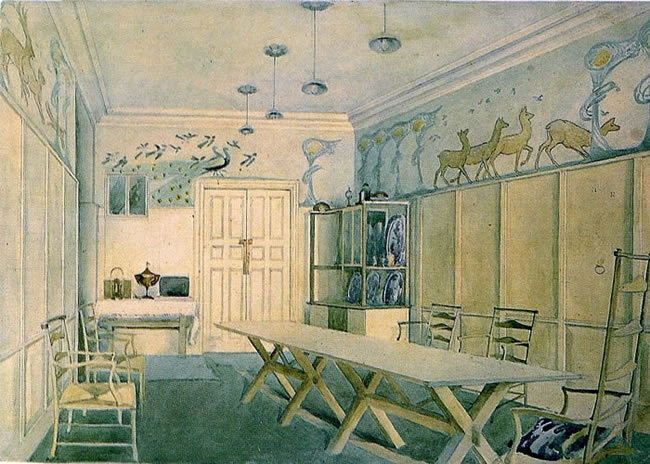 Watercolour by Fleetwood Varley showing CR Ashbee's pewter dining room lighting in the Magpie & Stump 1901. 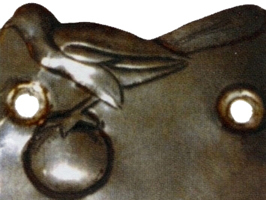 Magpie & Stump repousse ceiling rose. 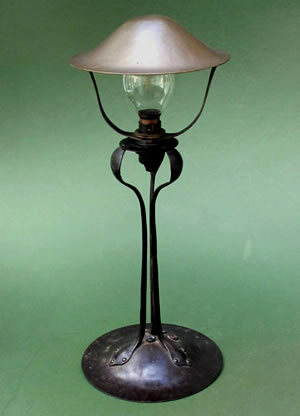 CR Ashbee - Guild of Handicraft Table Lamp.